Totally worth it! If you have never been to the Grand Canyon this is the best tour. We learned so much about the history of the area. We didn't have to deal with parking or knowing where the best stops were. Everything was taken care of even lunch! Ryan our tour guide was wonderful! Highly recommend!! Our Guide Jen was very knowledgeable and friendly. 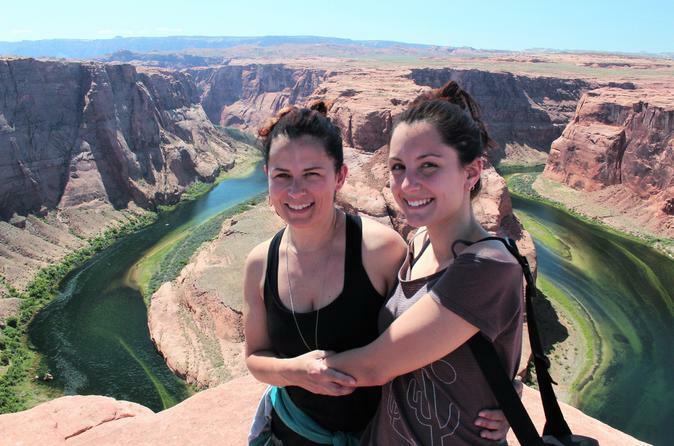 She knew everything there is to know about the Grand Canyon and more. We are so glad we booked the tour and had her as our guide. She went above and beyond the whole entire day. She had other people listening. What a great teacher and a people person.Best of luck to her and her adventures. We hope to meet her again. We had the most memorable experience on this tour. Our guide Matt was a wealth of knowledge and told us so many interesting things about the area and the canyon. Request him if you can. He was great! And the tour offered more insight into the canyon and history that you could amass on your own. Recommend this tour for sure !! 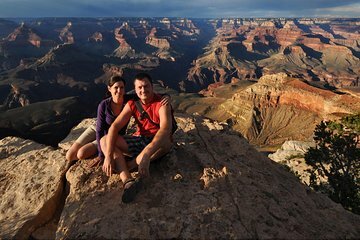 This was my wife and myself first visit to the Grand Canyon. It is an amazing spectacle hard to take in the size of the canyon and the time it took to create it. We made up the whole small group so it was like a private tour. Scott, our guide, was awesome sharing his wealth of knowledge about the history and geology of the park and really the whole Flagstaff area. He was both engaging and offered us time to explore parts of the park on our own. We hiked along the rim, near the village, on a paved path for about a mile or so and got to explore the watch tower on our own too. We brought binoculars and cameras with zoom lenses along with us, and Scott set up his spotting scope for us to view the more detailed and distant sites. This was well worth the cost and much more informative than trying to visit the Grand Canyon on you own. Great experience!!! This was an excellent way to see the Grand Canyon. Our guide was a fountain of knowledge and from the word go,for about 9 hours gave us a running commentary, not just about the Grand Canyon but the surrounding area. She Jenn also provided us with a very wholesome lunch. Jenn was not only very knowledgeable, she also had a great sense of humor and made the whole experience enriching and fun. Her use of the telescope at intervals was an additional neat touch that rounded off our experience. This is a great way of seeing the Grand Canyon if your time in the Canyon is limited. If you are lucky you will get Jenn as your tour guide. Scott our driver was excellent, punctual, well informed and humorous. The trip was good value, with a very nice picnic lunch. It was fabulous! Great day with our tour guide who was sooooo knowledgeable ! Well worth it. This is the perfect way to see the Grand Canyon-in a small group, with a knowledgeable tour guide like Marcia Burns! The large 10 person van was not crowed-we had room for snacks and drinks. We got to the Canyon early enough to feel like we could easily access the east entry. It was a great orientation. After another couple of stops and lots of photos, we stopped for a delicious picnic lunch-then on to the Main entrance which included the Native American Museum and the El Tavor Hotel. A secret about the Hotel is that it has neat rockers on the front porch and a great bar! Book this trip and try to over look the other tourists. Gavin was our tour guide and he was amazing! He has a great personality, was very warm and friendly and was extremely knowledgeable. He picked us up at the exact time he said he would and from the first greeting we knew we were in good hands. Our trip was fantastic and the only negative of the day were the 50 mi/hr wind gusts in the afternoon. The scenery throughout the trip was incredible. We stopped at several different locations and had plenty of time to take in the beauty and to take pictures. Gavin gave us so much information about the geology, the animals, everything. I would highly recommend this trip!